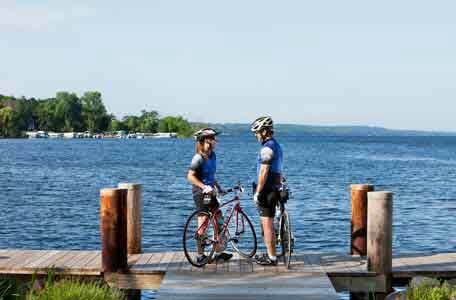 Explore the multitude of Wisconsin biking and hiking trails the Green Lake area has to offer. Bring your bike or use one of ours. With endless trails, you’ll be surprised by the miles you can put on. 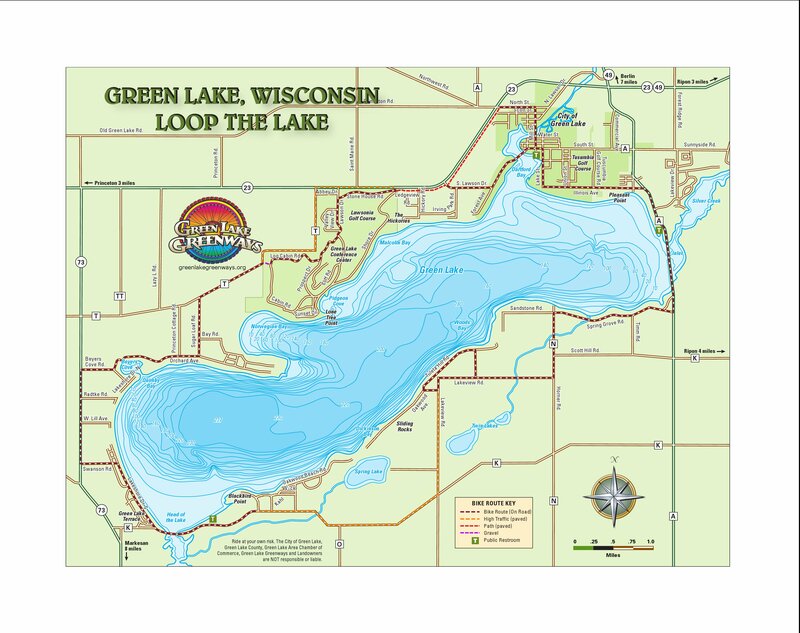 Venture around Big Green with this Loop the Lake map provided by the Green Lake Area Chamber of Commerce. Loop the Lake has a little bit of something for every bike enthusiast: Riders can choose 27 miles of entirely paved trails (on-road routes), or they can choose routes with paved and unpaved portions. This map clarifies these sections of Loop the Lake. The Mascoutin Trail takes you further into Green Lake County, allowing you to travel through Berlin, Rush Lake and Ripon. 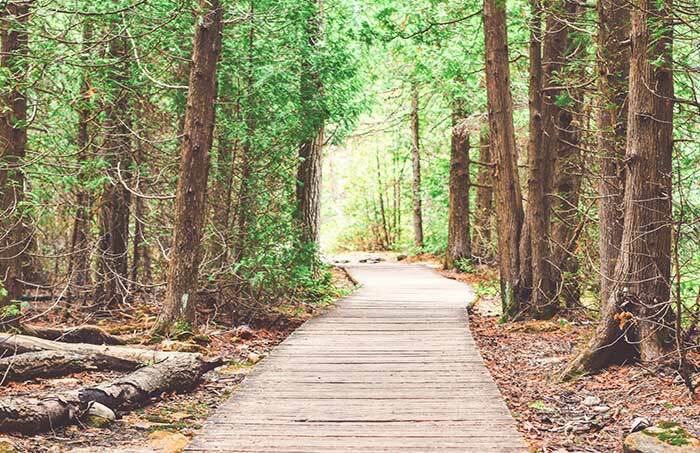 Managed by three counties – Green Lake, Winnebago and Fond du Lac – the Mascoutin Trail is well-maintained and user friendly. 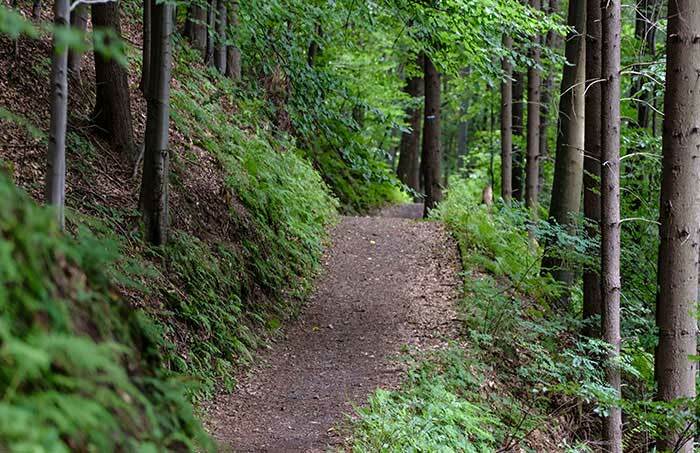 This trail hits the spot for bike enthusiasts looking for a good nature ride. Don’t forget to take a break at Vines & Rushes winery along the way. 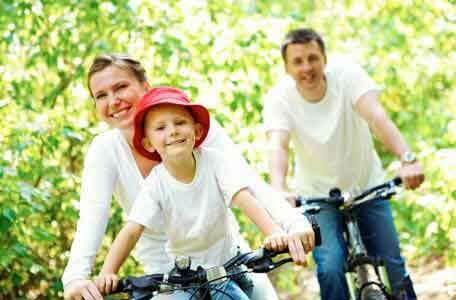 The City of Green Lake Trail is wonderful for families or those looking for a leisurely ride along a well-paved path. Located just steps down the street, this is a beautiful spot for a leisurely walk to escape into the gorgeous scenery that Green Lake has to offer. Unwind and relax on the memorial benches while you gaze out over the stunning lake and native plantlife of the seasons to refresh your mind and soul. 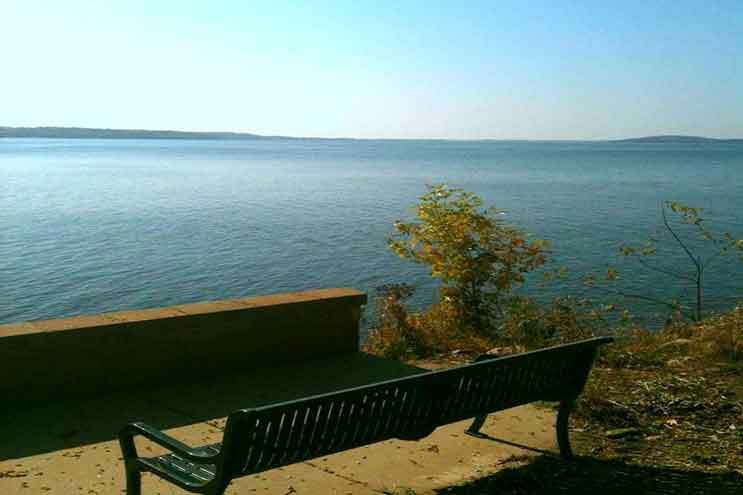 Find yourself immersed in nature at this Green Lake lookout on the corner of Lake Street and Illinois Avenue. Lose yourself in the history of Green Lake with this beautiful shoreline trail that winds around the west end of the lake. This historic path was once used by the Winnebago Native Americans and it is just as breathtaking today as it was then. With 54 acres of restored land, Dawson Prairie is a stunning world to traverse. Trails meander through over 100 different species of plantlife from grasses to wildflowers. The wildlife is plentiful as well including deer, butterflies and birds. This is a perfect place to immerse yourself in nature. The Green Lake area has a wealth of habitats for native Wisconsin birds, and many trails are open to the public. 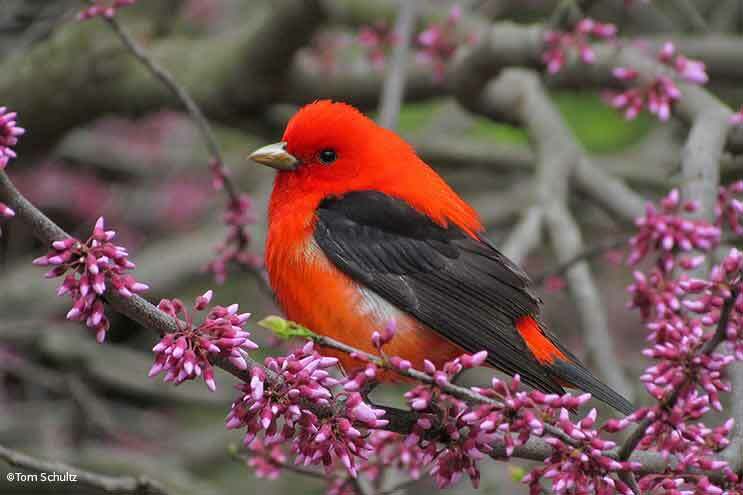 In general, the best time of year for bird watching is spring and summer, especially April through July, when individuals are engaged in territorial displays or breeding activities. Sunnyside Conservancy and the Norwegian Bay boardwalk are only minutes away. Or, you can walk the Mascoutin Valley State Trail, as well as the Huckleberry Route.